Mumbai is a city which is safer than other cities in the country. There is a different vibe to the city at night and it is safe for a woman to venture out at wee hours as the city rightly never sleeps. Public transport like local trains, buses, auto rickshaws, and taxis are available at night. Properties in Mumbai are also constructed with keep all the security features in mind. So whether it is a residential property or a commercial property, all are safe in Mumbai. Mumbai is a city where an artist is free to showcase his creativity. Whether it is through painting, singing, dancing or acting, Mumbai is an artistic hub of the country. The iconic Prithvi Theatre, Jehangir Art Gallery and the yearly Kala Ghoda festival is a testimony to this city’s love for art and theatre. Mumbai is a city where people from different religions live in harmony together. Whether it is Hindus, Muslims, Sikhs, Christians, Parsis, Sindhis or even Jews, the city sees all these religions with their different cultures living together. All festivals are celebrated, such as Navratri, Diwali, Christmas, Eid, Parsi New Year, Rosh Hashanah etc with equal pomp and fervor. Nothing can beat the charm of living in a sea-facing house. This is one reason why there is a demand for luxury homes in areas such as Worli, Bandra, Juhu, Marine Lines etc. A lot of Mumbaikars come just to soothe their souls by sitting and relaxing on Juhu Beach or Girgaon Chowpatty or just admiring the Queen’s necklace from Marine Drive. Every year a lot of people come to Mumbai with dreams of their own. Whether it is making a career in acting, singing, or any field, Mumbai offer opportunities for all. In this city, no line of work is mocked upon. You will find a lot of poems and songs and heartfelt odes to Mumbai Monsoons. This city loves rains and rightly so. Hot chai and pakoras is something everybody indulges in, whether it is a CEO of a company or the employee, everybody equally enjoys the monsoons. The local trains of Mumbai are a marvel like any other. This one mode of transport is a lifeline of this city. The local trains are an experience like any other. They connect the remote corners of the city to its corporate hubs. Shopping in Mumbai is one thing you can enjoy to the fullest. Street shopping is something which everybody loves, Linking Road and Hill Road in Bandra, Colaba Causeway in Colaba, Fashion Street near Azad Maidan etc are some famous streets where shoppers have the time of their lives. From clothes, accessories, footwear, bags etc, you might find a lot of things which you are looking for at dirt cheap rates. Famous international brands such as Zara, H&M etc have their shops here in Mumbai. Real estate in Mumbai offers you a varied range of homes such as luxury homes, villas, penthouses, luxury apartments etc. Along with residential property, commercial property in Mumbai is also a sought after option for businesses to set up their offices. 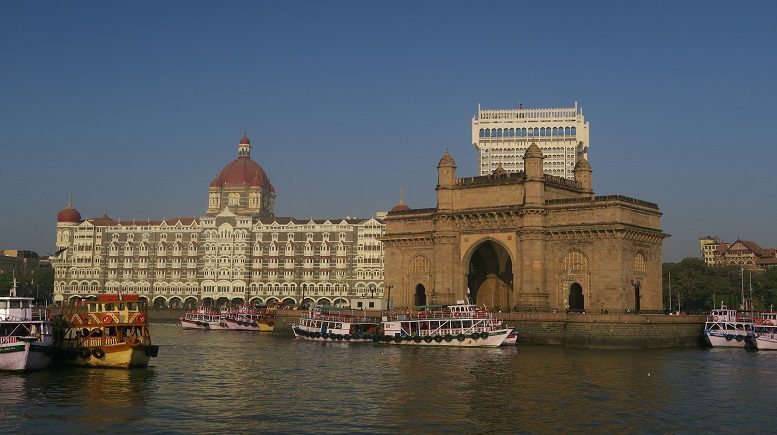 Mumbai is a city which can give you the best living experience. It has every amenity and facility to help you lead a peaceful life. If you wish to buy a house in some city, then you should definitely add Mumbai to the list. Be the first to comment on "8 Reasons Why Mumbai Is The Best City To Live In"